Thanks to Ken M. for the heads up. Spawn #283 (available on eBay) had a feeding frenzy when it was announced Mattina would be doing the regular and black and white variant. The book quickly shot up to $20 and has dropped back down to the $5-7 range. Well, Spawn #284 (available on eBay) has a better looking one. 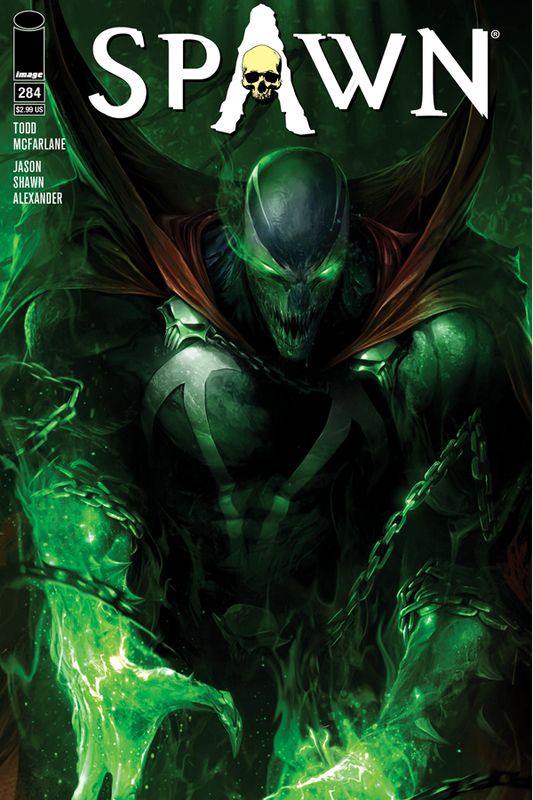 Spawn #284 (available on eBay) , out March 28th, has a Francesco Mattina A and B cover. In addition, it features the new Violator. Either way.. it’s a quick edit (couple of clicks) in Photoshop so they can bank more money from the masses.. Took me longer to download and upload to host to share than it did to convert to BW. Unknown comics books is extending the open order through Monday, including the Cover C virgin variant. $1.99 for a Virgin cover…not a bad deal. I see Sad Lemon is doing the same. Looking to see if any other retailers out there offering cover C?